The Program’s goal is to stop organisms such as Zebra Mussels, Round Gobies, Spiny Water Fleas including Eurasion Watermilfoil to enter lakes where they haven’t historically existed. Preventing these intruders from spreading, boat operators can reduce this risk by removing mud and vegetation from their boats, motors and trailers, draining bilges and live bait wells and by drying their boats before visiting another lake. 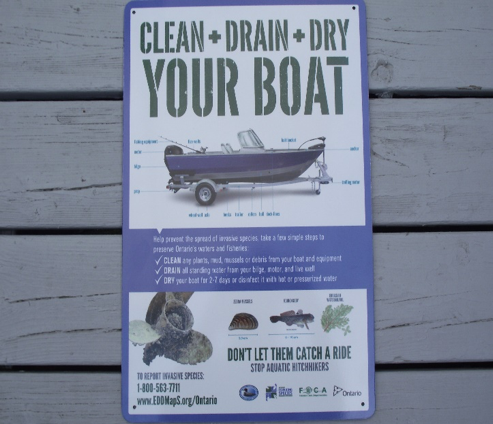 For further information on identifying invasive species, you can call the Ontario Ministry of Natural Resources and Forestry Invading Species Hotline at 1-800-563-7711.